If your holiday lights and lawn decorations aren’t prominently displayed by now, whoa, you’re way behind. Better get to it! 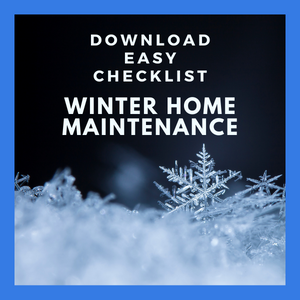 While you’re dragging boxes and climbing ladders, you should also take the time to winterize the house. What? You say it's cold outside and you have to create 24 nights of mischievous adventures for your son’s blasted Elf on the Shelf? There’s no time for winter house chores! Well, if you say so, but first let’s play a round of the winter version of the home maintenance game. MilitaryByOwner assumes you’ll prefer the fun, less expensive, and far safer options. Spend Christmas Eve or any other cold winter’s night in your water boots tallying costly mositure damage or have a family night ice skating? Install pipe sleeves to keep the lifelines of your house cozy and dry. They are inexpensive and well worth the investment. Air temps at 65 degrees will help, as well as letting a trickle of warm water drip during extra cold nights. Find the main water valve and become familiar with how to access and turn it off in case of a water emergency. Maintain your water heater by reading the owner’s manual to perform sediment drainage. If the heater feels warm, an insulating wrap will help with efficiency. Clean gutters because clogs can weaken foundations if water doesn’t flow away from the house properly. Hunt for and remove icicles. 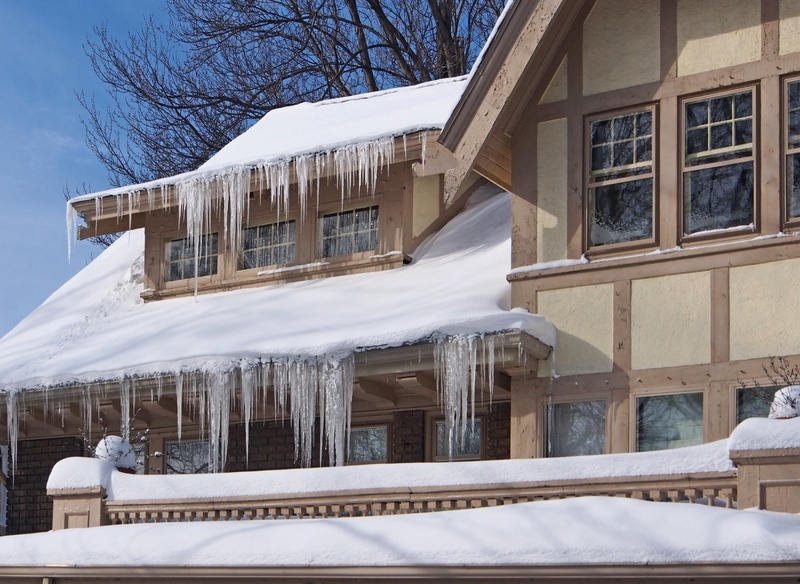 Those gorgeous works of nature indicate ice dams in gutters. Expect damage on roofs to grow worse over the winter if the ice is left intact. Icicles might also mean there isn’t enough insulation in the attic. Sift through a pile of charred belongings or sip warm drinks by the fire? Transform into a fire safety superhero. Fireplaces and furnaces need attention. If neglected, their demise will likely be yours, too. Put these fire hazards on your yearly maintenance checkup list and consult professionals for updates and repairs. Space heaters and candles are notorious fire starters. If they’re needed, leave reminders for yourself to turn off or blow out. Inspect fire extinguishers, know how to use them, and make a fire safety plan for your family to evacuate if necessary. Listen to tiny rodent paws dance across your ceiling or listen to the falling snow? Evict and prevent like a pro exterminator. Traps and poison are gross but necessary, so do your best to prevent any beast from taking residence in your home. Entry points outside and in must be filled. Check near where pipes, ductwork, and wires lead inside. Use spray foam, wire mesh, or caulk that is rodent resistant because mice can fit into the space the size of a dime. Trim trees near the house. Not only does trimming protect the house from storm damage, if branches are left long, squirrels and raccoons have a freeway directly to your attic space. How’d you do at the end of this round of the game? Hopefully you picked the enjoyable and peaceful activities instead of the messy cleanup due to lack of maintenance. What would you rather do this winter season? Check back in the spring--MilitaryByOwner will have a spring version of Would You Rather…?